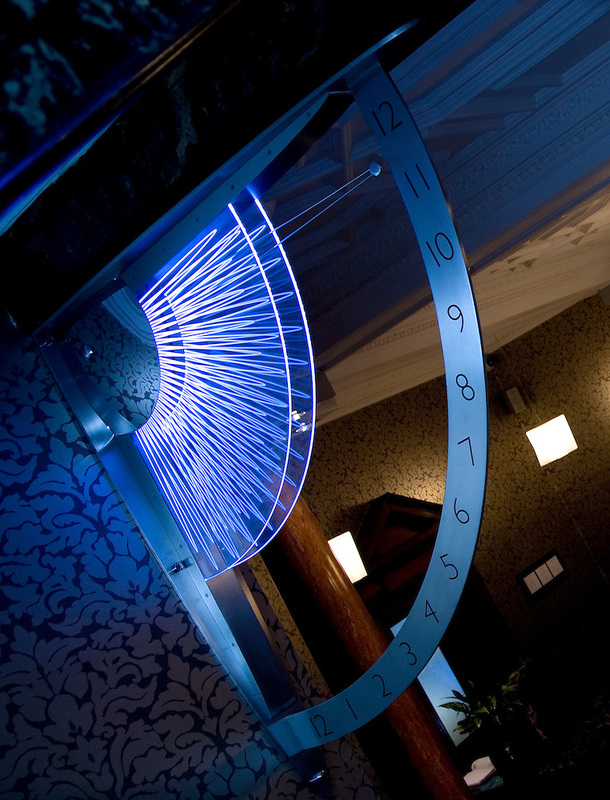 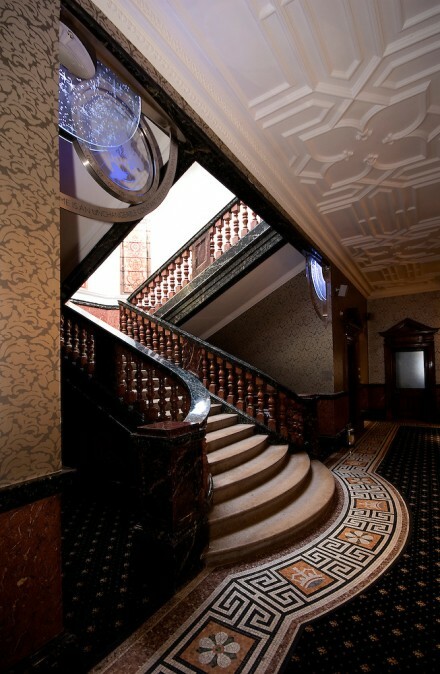 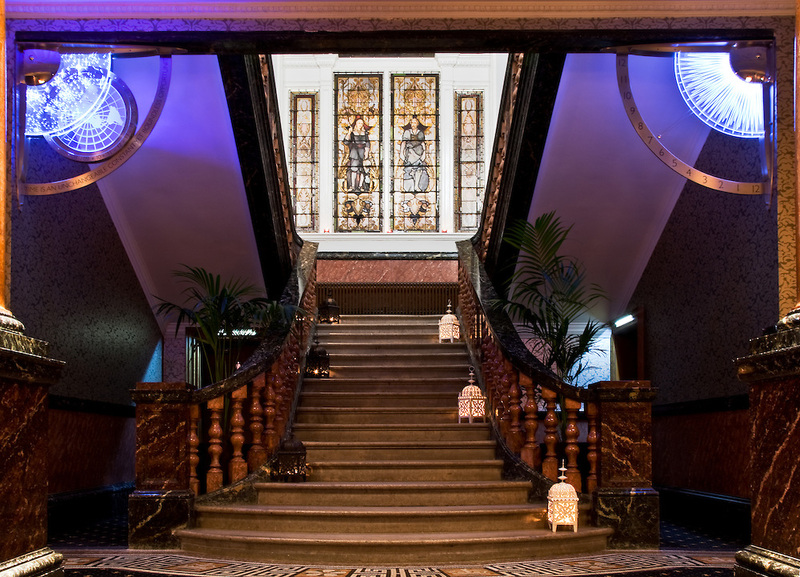 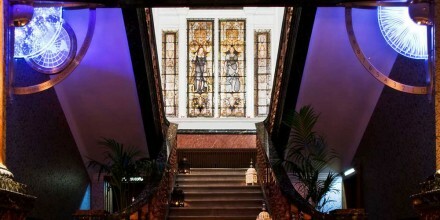 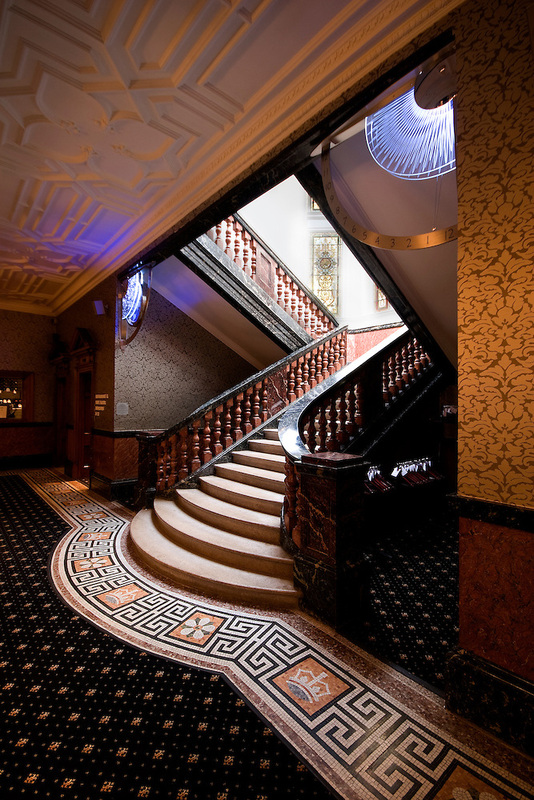 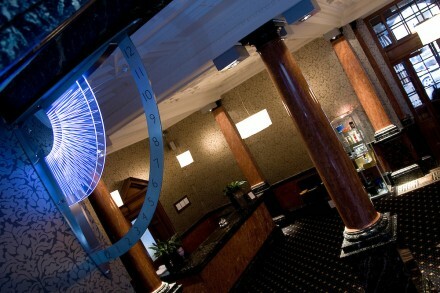 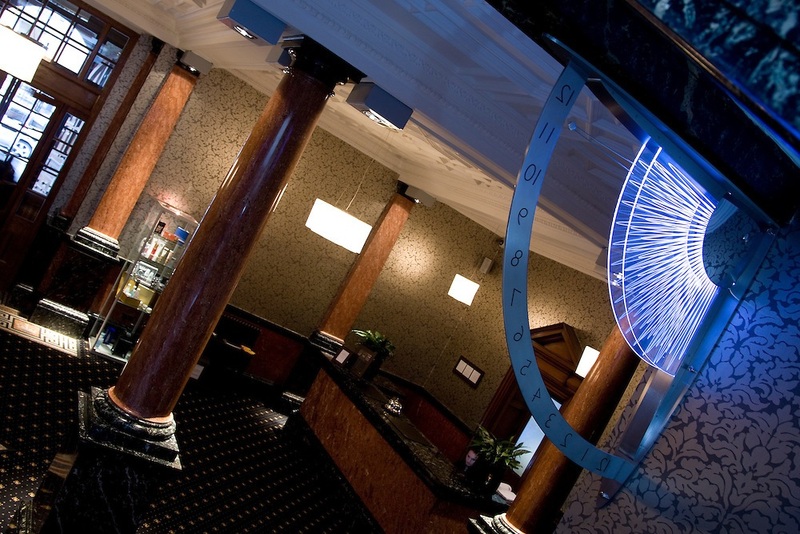 The classical interior of the Cathedral Quarter Hotel inspired the design of these two clocks. 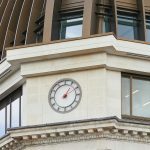 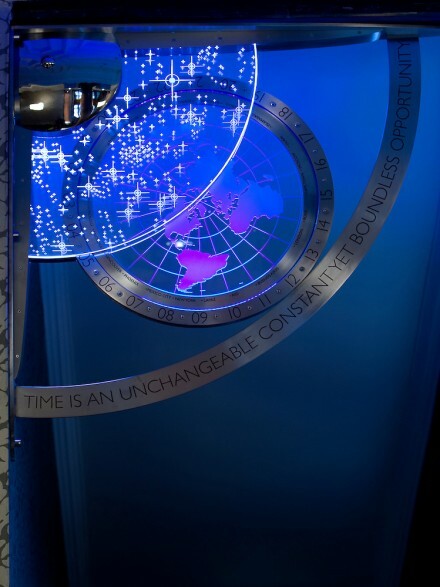 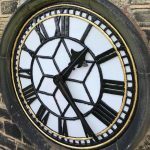 Imagined as instruments which might have been commissioned in the 1700s, the Quadrant Clocks are a combination of traditional and contemporary design, complementing the décor and ambiance of the hotel. The single-handed quadrant clock indicates time over a quarter of a turn and every 12 hours returns or “ ies back” to its starting point. 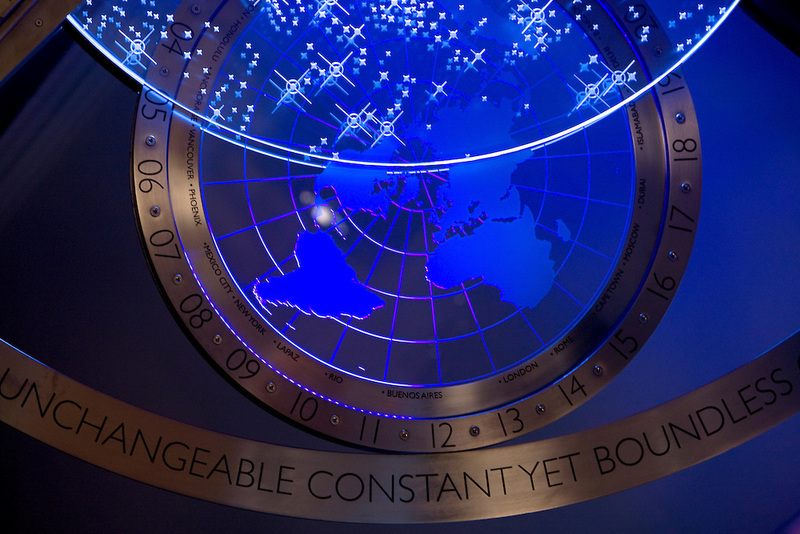 The World time clock embodies a polar projection view of the earth, which turns once in 24 hours and indicates the time of day or night at key global locations, with the star eld denoting the portion of our world currently under the night sky. 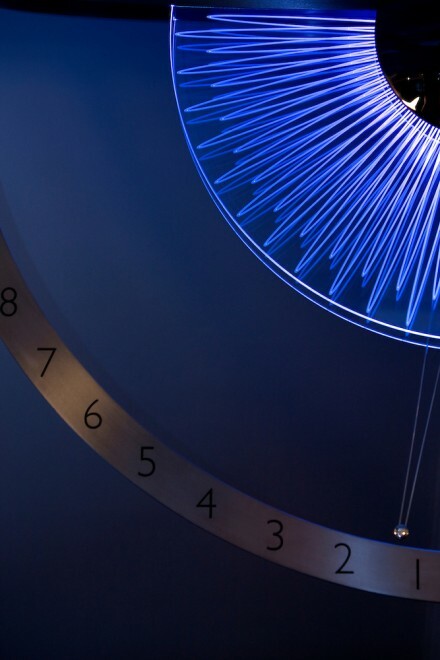 Both clocks are crafted from stainless steel and glass, with etched detail that sparkles with the light from concealed LEDs.